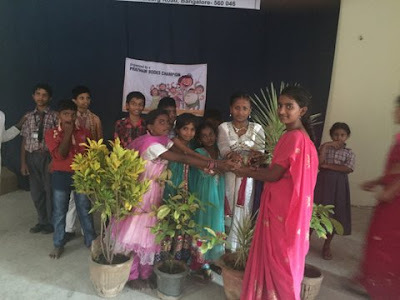 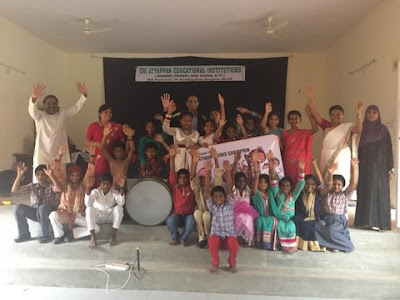 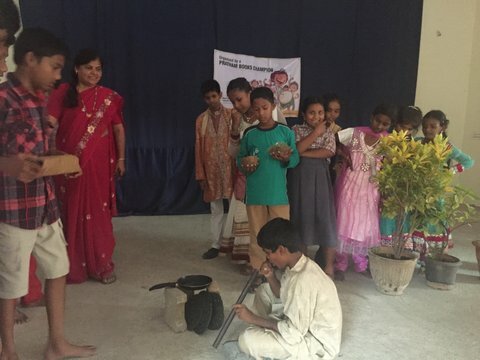 Dora Vandana.J sends us this story of a session she conducted with Avanti Badhe. 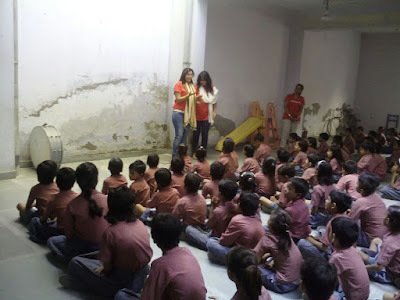 We conducted one day one story event in Sharon's school , Pondicherry. 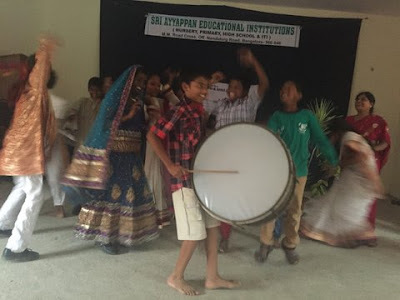 It is a school exclusive for special kids run by Mr.Mohan, an auto driver. 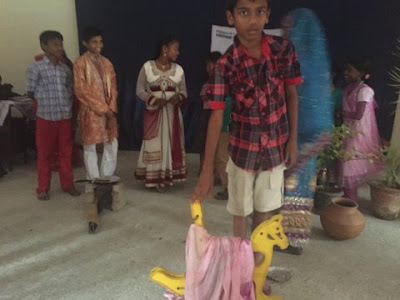 We used props to narrate the story. 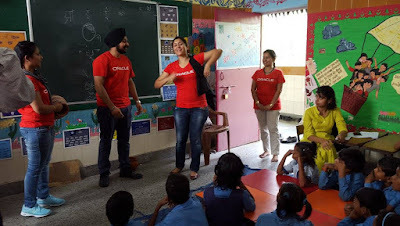 We gave each kid a prop and made them exchange it as the story went on. We asked them to draw anything they like. 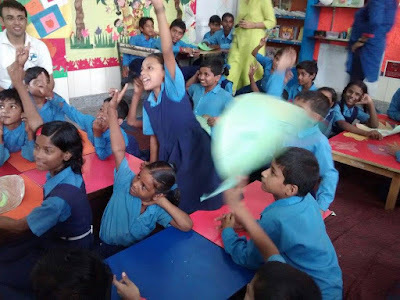 So unless they share the items they will not be able to do the activity. We made them tell thank you to each other after sharing! A.G.Prakash sent us the following report and pictures about the storytelling session conducted at Sri.Ayyappan Educational Institutions. 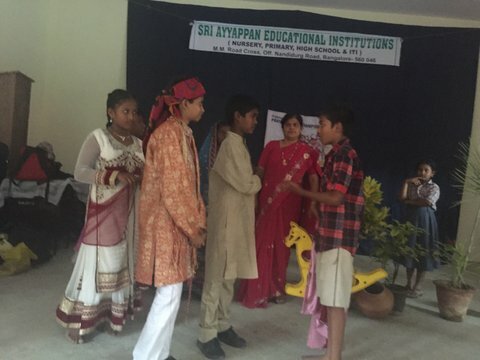 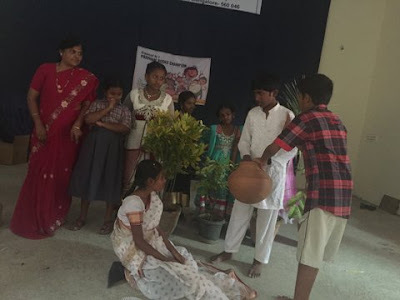 Story -Telling session was held at Sri.Ayyappan Educational Institutions, Jayamahal, Bangalore, Karnataka on 8th September 2015. 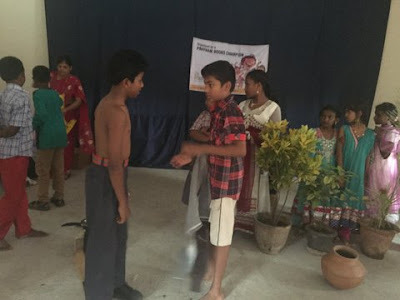 Children enacted the play. More than 515 students , 25 teachers and some parents witnessed play and enjoyed the play. 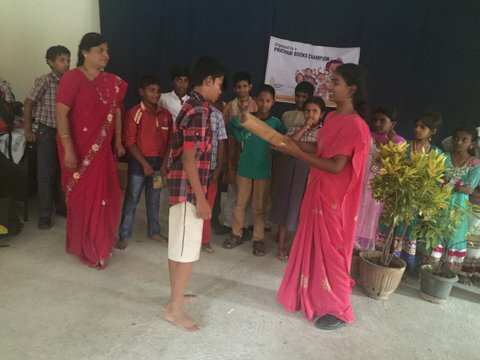 It was directed by Mrs .Salma and Ms. Mohana bai. 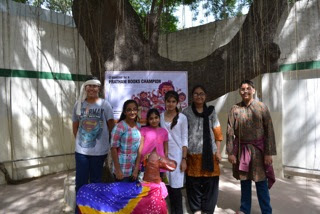 Costumes and make up by Mrs .Rizwana. 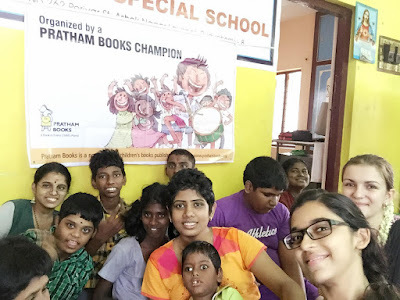 Thank you Sri.Ayyappan Educational Institutions for spreading the joy of reading! 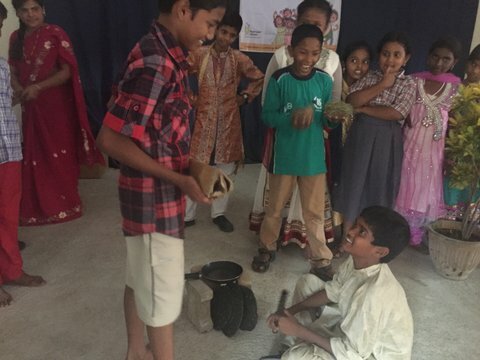 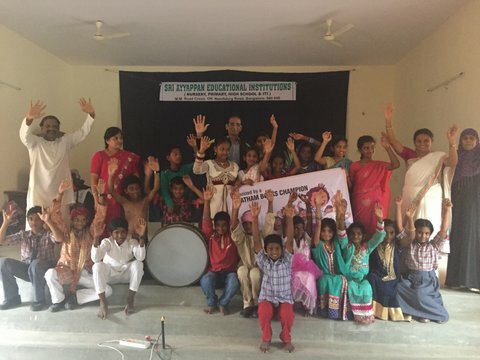 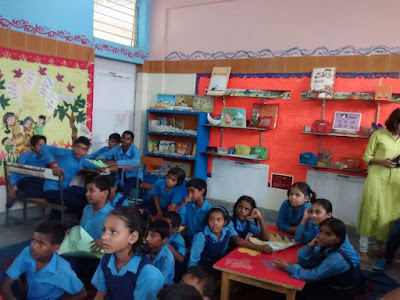 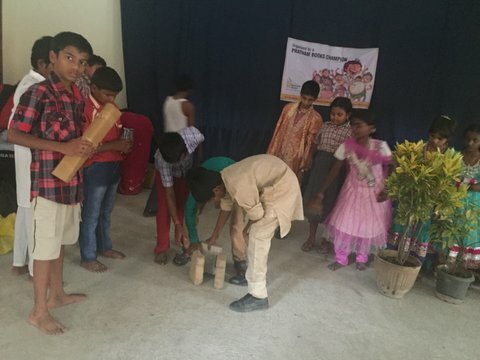 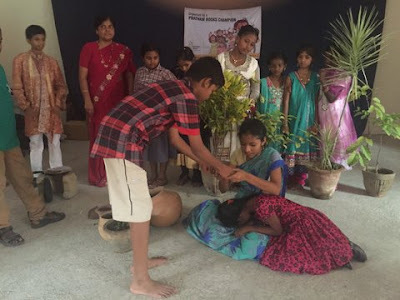 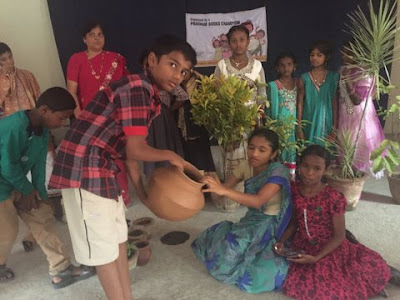 Toral Mehta conducted 3 storytelling sessions in Hyderabad and sent us the following videos and images of her sessions. 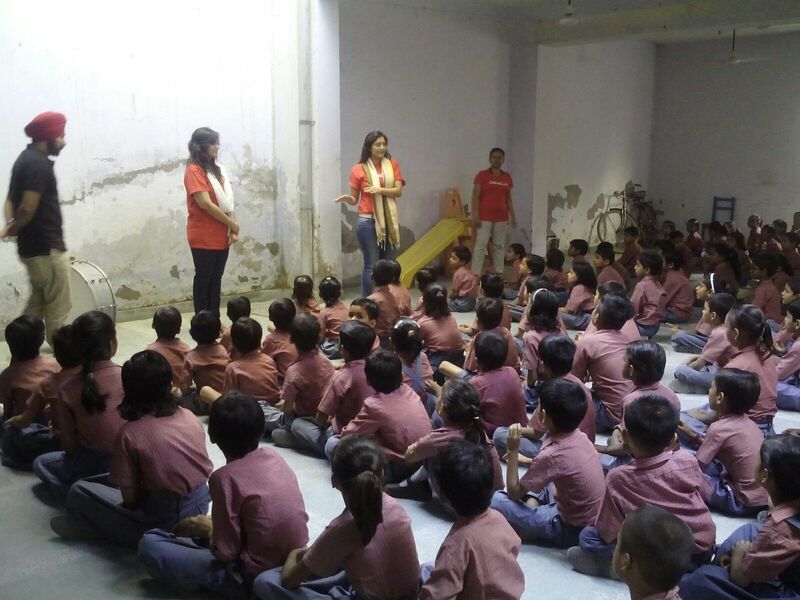 On 6th September, Toral conducted 2 back to back sessions at the same venue. 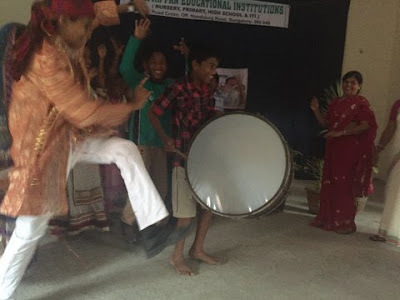 A skit with a groom, little drummer, ghoda and more! 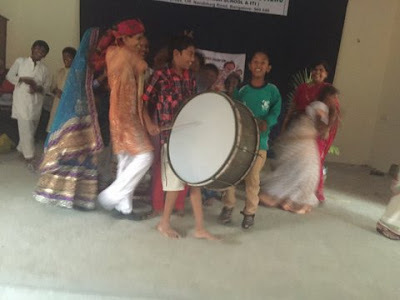 Love the drum circle instructions to go with the story 'The Boy and the Drum'. Thank you Toral for helping coordinate these sessions and a big shout out to all the Oracle employees who took part to spread the joy of reading. 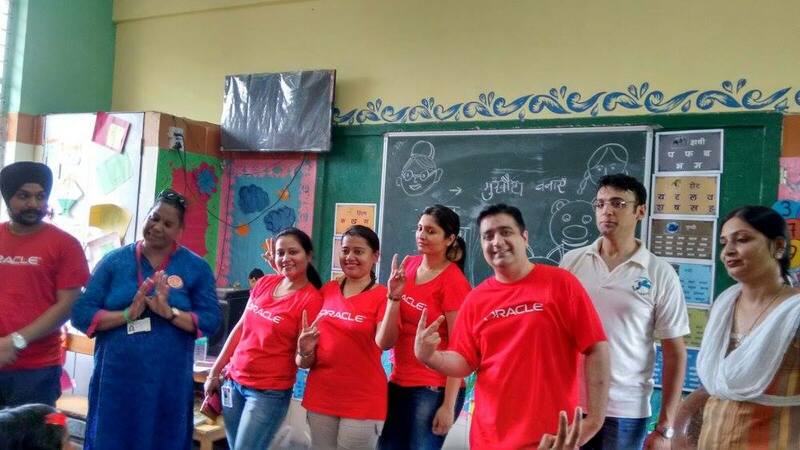 Nupur Vimal from Oracle sent us the following notes and images of sessions conducted by employees of Oracle India. 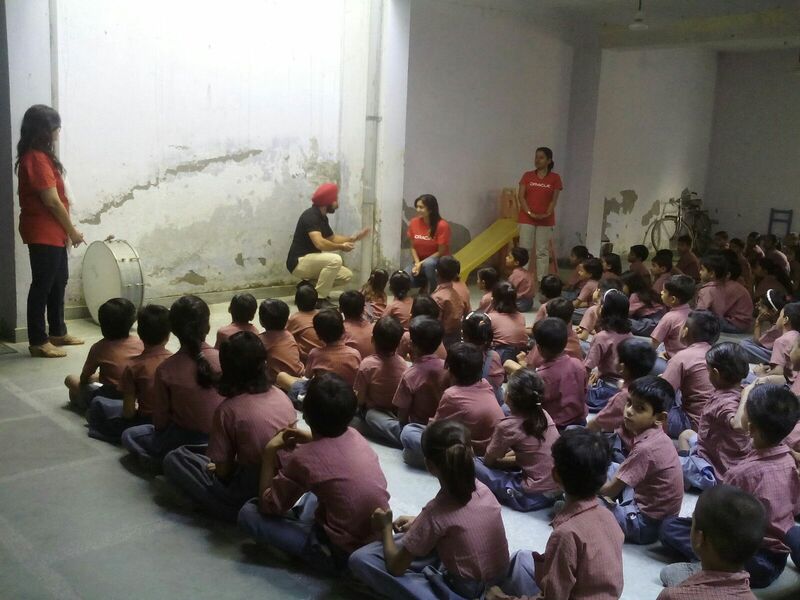 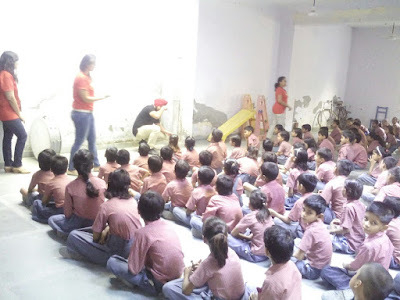 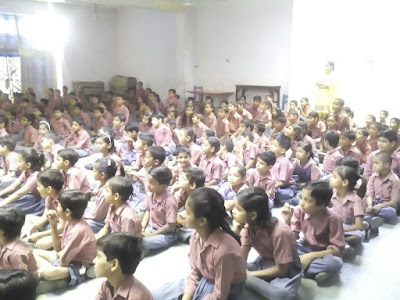 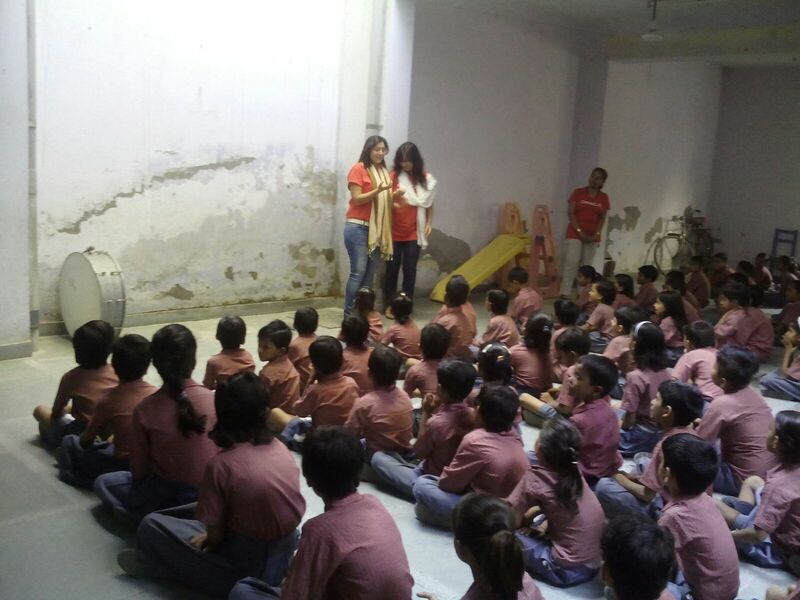 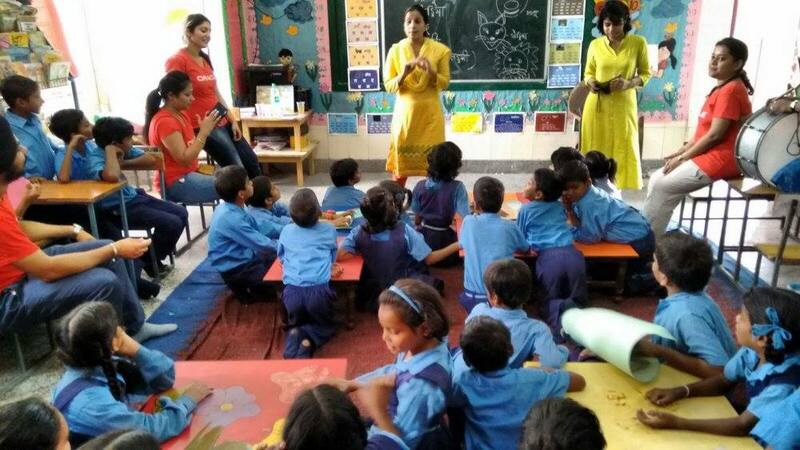 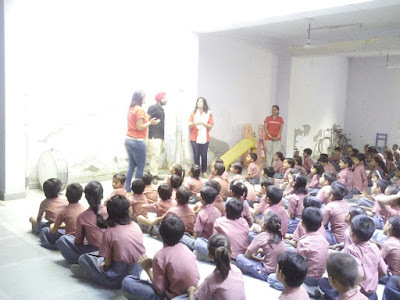 Multiple storytelling sessions were conducted across Delhi and the NCR region. 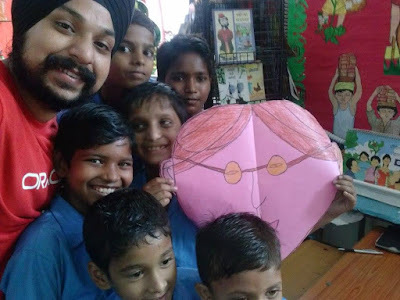 In association with Pratham Books, this was a learning experience for all and an innovative method of storytelling through role play and acting. We spoke about key takeaways: importance of being happy, sharing and caring, helping others, being obedient children, goal setting, dream building and virtue of patience in life.The kids, volunteers and teachers all had a great time. 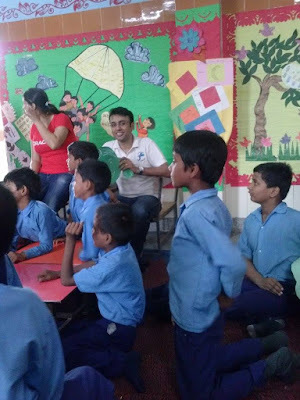 We had another storytelling session today at an MCD school in East of Kailash, Delhi. 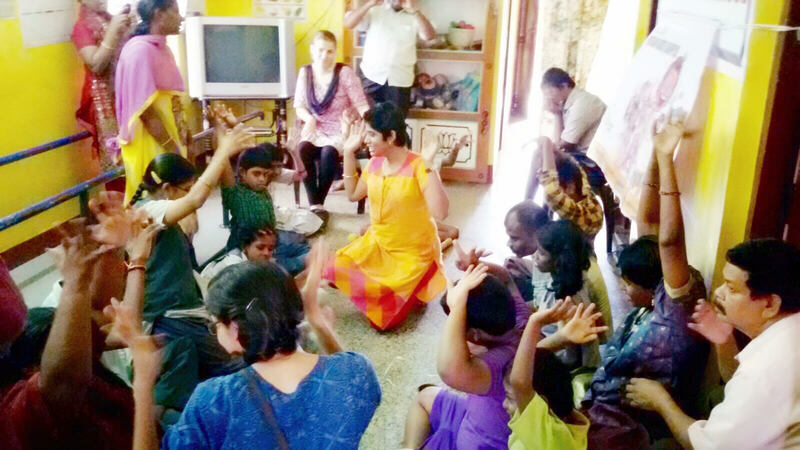 We addressed nearly 40 children, with special needs and different learning capabilities. 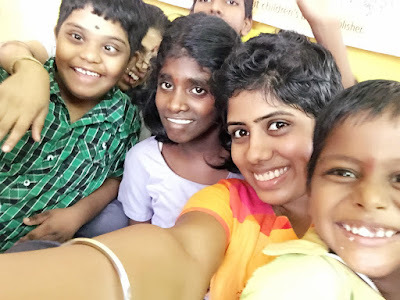 They loved the session. 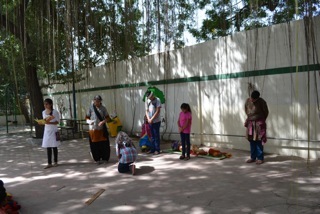 This time we used props as well. Thank you for this amazing concept. Our volunteers love this activity and are enthusiastic about inculcating it in our upcoming projects as well. 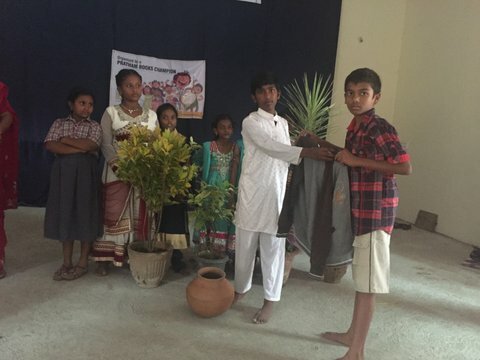 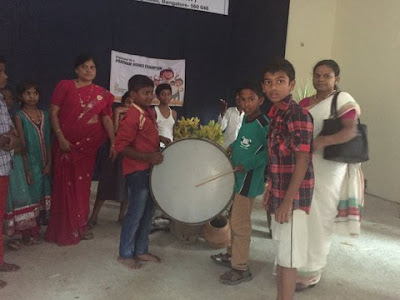 From the Prioritize Humanity page : After initial introductions, we conducted a storytelling session on the book: ‘The Boy and the Drum’, through a role play. 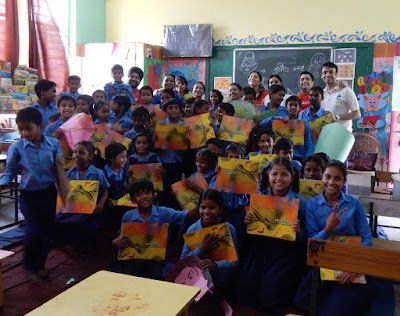 We followed it up with an extensive storytelling session through mimicry, art & craft, drawing, sketching and other innovative ways, to impart key messages. 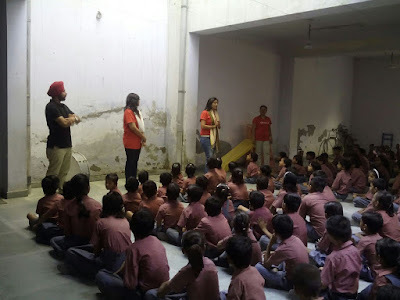 We also distributed a lot of useful stationery items to them. 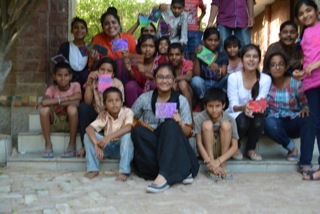 The children, teachers as well as the volunteers loved the session. 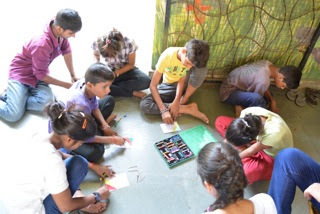 You can view more pictures from the session here. 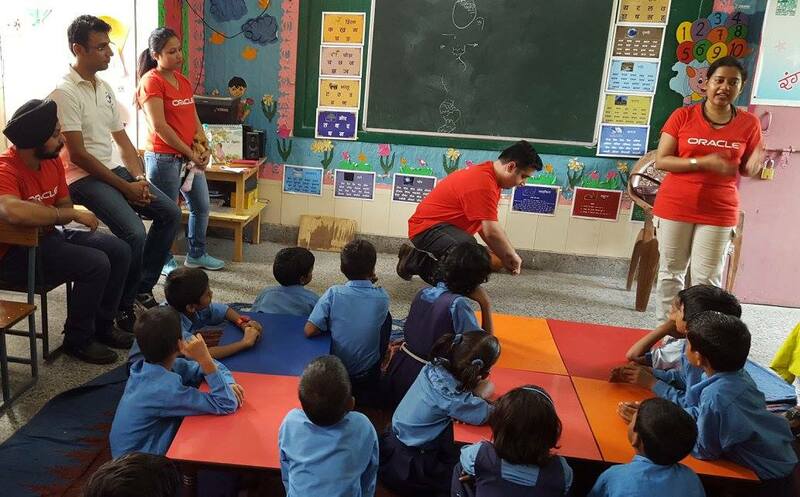 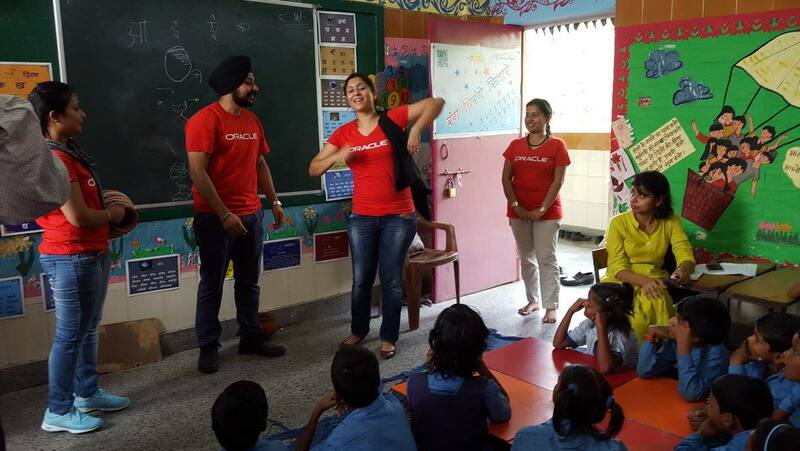 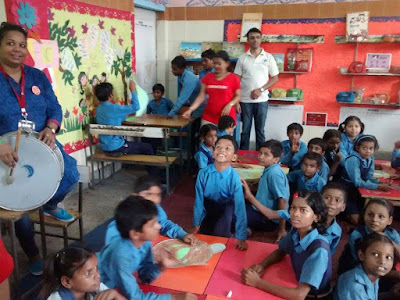 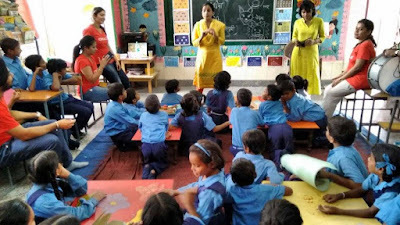 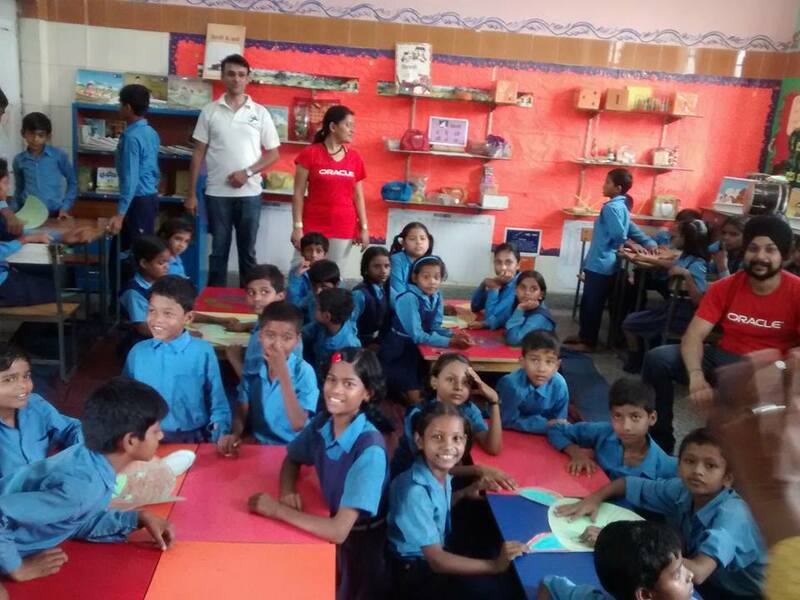 The 3rd session was conducted by an Oracle volunteer with her husband, in Gurgaon, where they enacted the story to around 10 kids. 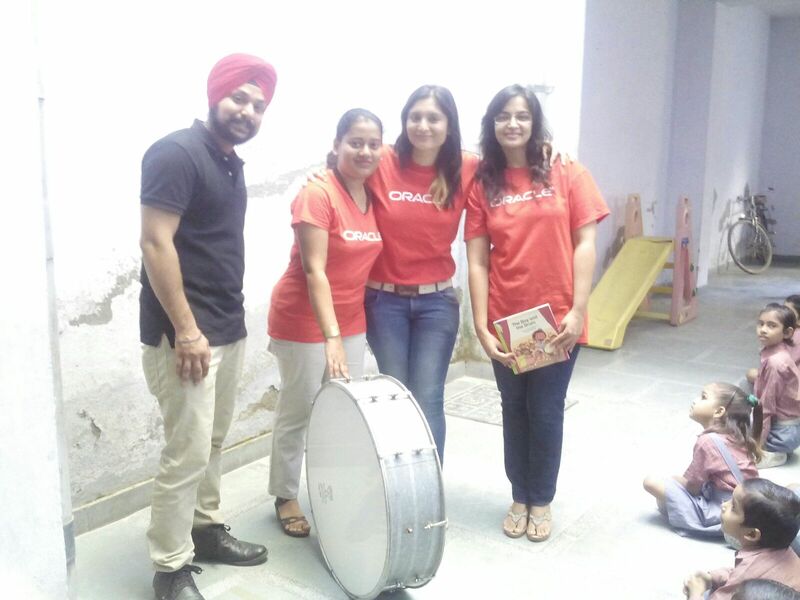 Thank you Nupur for helping coordinate these sessions and a big shout out to all the Oracle employees who took part to spread the joy of reading.